Part of the legendary Sito/Robles family. 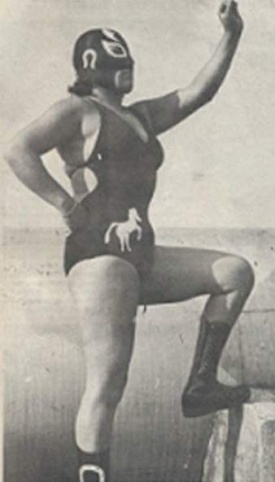 Made a name for herself as a rookie in the mid-70's and was one of the most well known luchadoras of the decade in the 80's. Jumped to AAA as soon as it was formed and was involved in the first major women's feud in the promotion where she lost her mask to Martha Villalobos and her hair as well just a few months later. Was semi-retired for most of the 90's but did return to AAA for a short time late in the decade as part of a group with La Venus & La Fugitiva. Also took part in a short-lived angle in late 1999 where she joined Cibernetico's side of the Vipers vs. Vipers war and was his official referee for a few matches. Seems to be officially retired as of 2001. This page was last edited on 26 March 2018, at 19:38.